As part of the 10-year strategy for dominance in the financial services industry, the Ministry of Financial Services has committed to realigning its focus on new emerging and growing markets. One of those markets is Asia, with particular focus on China due to the burgeoning numbers of Chinese high-net-worth individuals (HNWIs). As business activity increases in China, opportunities develop for Bahamian financial services providers such as wealth managers, banks and fiduciary services. To help promote the jurisdiction in the region, the Ministry of Financial Services in partnership with the Bahamas Financial Services Board (BFSB) recently undertook a multi-city tour, promoting the Bahamian financial services platform in Hong Kong, Beijing and Shanghai; concluding as the headline sponsor of the largest international financial services conference in Asia–the 2014 China Offshore Summit held in Shanghai. We took the opportunity to not only present The Bahamas, but also to gain a complete understanding of the types of offerings, products and opportunities the new high-net-worth Chinese entrepreneur is looking for in an international business and financial centre. The Chinese entrepreneur is looking for a jurisdiction that can be the hub of their international diversification strategy. Last year marked the first year where outbound direct investment by Chinese surpassed the amount of foreign direct investment into China. Of primary importance to the Chinese businessperson is political and economic stability, a well-regulated and respected financial system, opportunities for residency options with a business presence, and access to key markets in the Americas. The Bahama’s financial services platform and offerings have everything that is needed to access the Chinese market and attract Chinese clientele to The Bahamas; we are the “Gateway to the Americas” and demonstrate skill, stability and sovereignty. 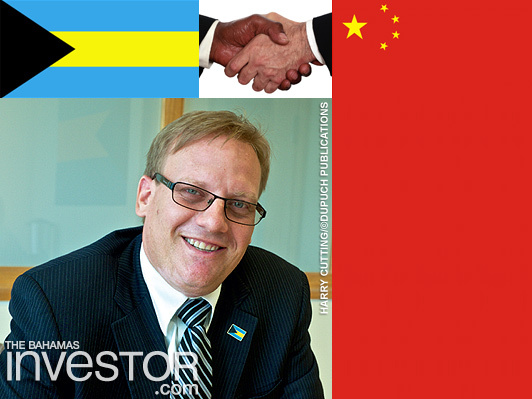 Developing The Bahamas as the pre-eminent international business and financial centre for Chinese entrepreneurs and HNWIs, however, is not without challenges for the government or the private sector. There is a distinct need for our private sector and the government to invest in profile building and familiarization in China. This cannot be done remotely, but requires a sustained and cooperative presence in the primary economic centres of China, especially Hong Kong, Beijing and Shanghai. This requires a concerted effort, investment of collective resources, and a well- defined and disciplined strategy. Success will also depend on the extent that the financial services platform of The Bahamas can work in concert and cooperation with our tourism industry efforts in China. We have already established the cooperation framework to advance this strategy. Bahamian financial services firms that have physical presence in China have committed to cooperation with the Bahamas government. The Ministry of Tourism will have a full-time and dedicated presence in China and has committed to cooperation with the financial services agenda. Tourism private sector offerings such as Baha Mar have provided a similar commitment in cooperation with their dedicated promotional team in Hong Kong. 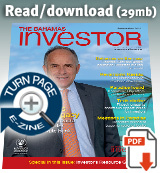 The Bahamas is well advanced in becoming the pre-eminent jurisdiction of choice for Chinese entrepreneurs and HNWIs. Ryan Pinder served as Minister of Financial Services from May 10, 2012 to December 2014. Prior to that, he served as an international tax and commercial consultant for OL Private Corporate Council and a tax consultant at Becker & Poliakoff. Pinder holds a masters of law in international taxation.